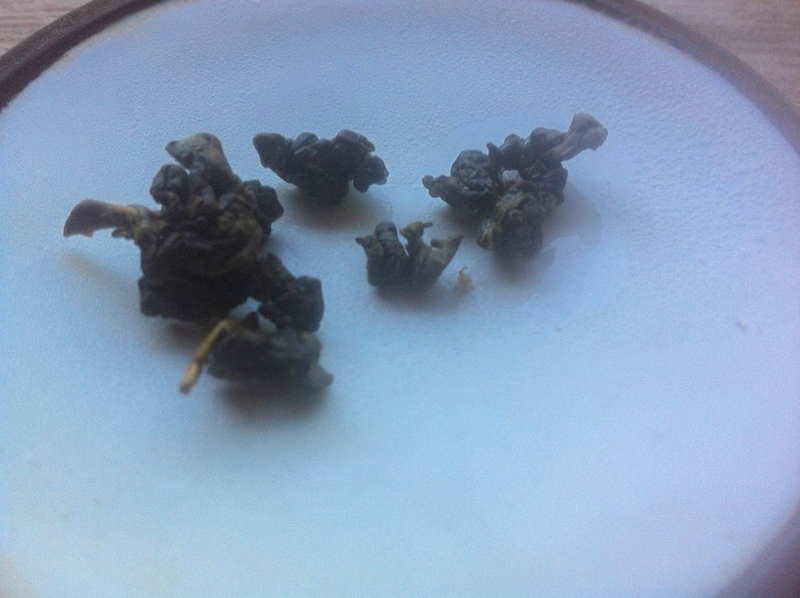 Another among the teas I decided to test in my grand (old) tea tasting experiment of this summer. Golden straw liquor, aroma of fresh lillies with a slight hint of something richer: a gingerbread sweetness. Flavor is buttery sweet lightly grilled asparagus with a gentle dryness in the finish. The aroma in the mouth lingers for quite a while. 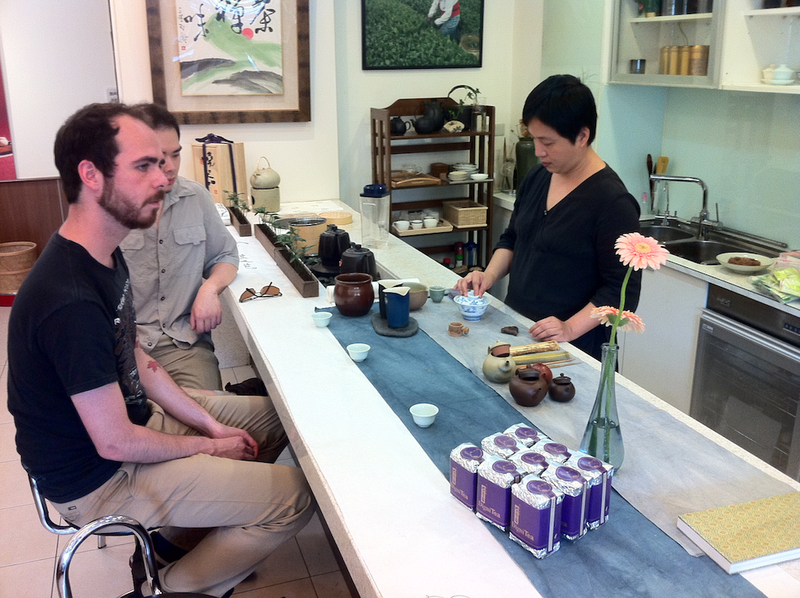 My friend and I had been wandering around the Guting station area of Taipei looking for a specific tea house we had read about when we came across this small shop. It looked promising, and within minutes of entering we were sitting at the rather modern bar inside and discussing tea styles and preparation with the wonderful proprietor. She told us about her family’s business and how all of their tea was from Ali Shan, although they had many different varieties. For the sake of adventure, I brought back with me some winter Jin Xuan (Jin Xuan is a Taiwan-invented cultivar), spring Jin Xuan, Nitrogen-packed Qing Xin (apparently the nitrogen causes the leaves not to change as much after packaging as the standard vacuum-seal), a black Ali Shan, and an Ali Shan GABA tea (Nitrogen-flushed). I have been extremely happy with all of them! Now, oolongs of this style often reach their height after 6 months to 1 year of age (assuming good storage), and that definitely held true in my case. For over a year after bringing the packages back from Taiwan, I turned to my DigniTea when I was looking for something really special. As the supply of this Jin Xuan, my favorite, neared its end, I transferred the last leaves to a metal tin to (I thought) better preserve it. This is always the danger with a beloved tea: you try to keep it alive long past its time. I’m not certain the reason for it, but after a good long life this tea has changed for the worst. My first infusion was for 1.5 minutes with near-boiling water, usually a good bet. The roasted aroma was present, but seemed very light and the color was pale. When I tasted it, though, I was very surprised by the taste. The best word I could come up with to describe it was “soapy”. The creamy delicious sweetness had become a sort of sour taste that was definitely not pleasant. Just in case, I made a second infusion, paying more careful attention to the leaves. The results were the same, soapy, in fact it became more pronounced. I didn’t even bother with a third. Alas for the fine teas in our life! This is a lesson of impermanence in life, certainly. If you find something worth enjoying, enjoy it fully while it is here! If you hoard it, it may be lost, or changed into something else entirely different from the character you cherished. So it was with this tea. I humbly thank it for the lesson. 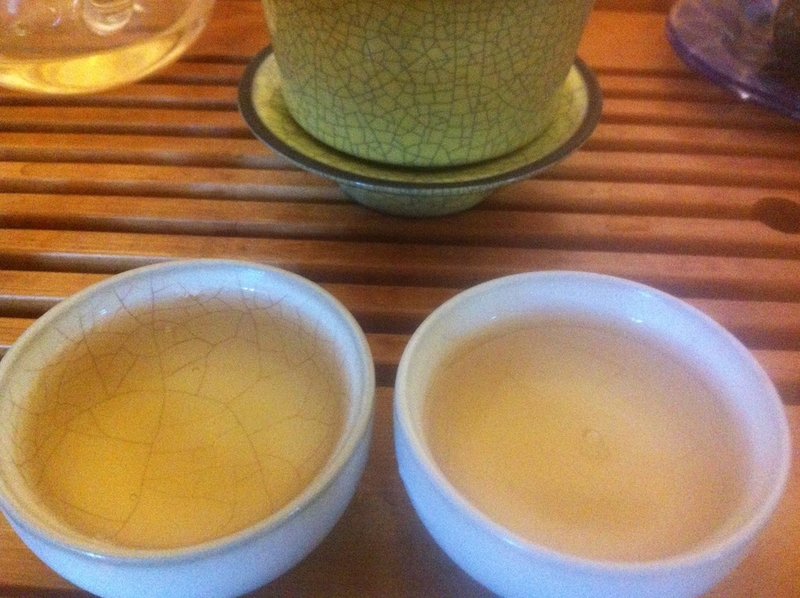 This entry was posted in Tastings and tagged oolong, taiwan, tea on September 15, 2013 by payton.